Please note: The information listed below refers to the 2016-17 scholarship application period. How can my family qualify for a scholarship? What is the difference between a Pre-Application and a full application? What is the deadline to apply for a scholarship? Can my child/ren enroll in any school? When will I find out if my child will receive a CSF scholarship? Why do I have to register at a private school before I find out if my child will receive a scholarship? How much is a scholarship? How are scholarship amounts calculated? What costs will my scholarship cover? If awarded a scholarship, when do I receive the money? What happens after the first year? Will my scholarship continue? I want to move my child to another private school in New York. Can I keep my scholarship? What is the Scholarship Verification Report (SVR) process? Can scholarships be placed on hold? What happens next year? Will my scholarship continue? What happens after 8th grade? My child has to repeat a grade. Can he still use the scholarship? What financial information does CSF need? What if my children are not listed on my tax form? What if I did not file taxes last year? First, find the CSF participating school/s you want to apply to and check their preferred scholarship application process. Please note: for some schools, you will need to apply directly through the school. For most other schools, you will complete an online pre-application to determine your eligibility and enter your contact information. If you complete the online pre-application and are eligible, you will be invited via email to submit a full online application. You will be required to submit financial documents (1040 tax form and/or other proof of 2016 income), choose a CSF participating school, and register your child at the school before your CSF scholarship can be calculated and awarded. If you apply directly through a school, school administrators will work with you to complete your application and gather the required documents. For all families, regardless of your application process, CSF will notify you with a decision of your child’s scholarship award. The Pre-Application is the first step in applying. You will be asked to create an online account with CSF and provide contact information and basic facts about your child and family income to determine your eligibility. If/when you are invited to submit a full application, you will be asked to select your desired school and provide more detailed information including your federal tax form and any other income documentation. Remember, if your child is entering 1st -8th grades, you will be asked to submit a public school report card. There is no deadline. Scholarships are awarded on a rolling basis until funding is exhausted. Therefore, we encourage you to complete your application as soon as possible. The school must be a participating school with CSF. For a list of participating schools, please visit our website at https://nyc.scholarshipfund.org/application/tjf. If you are unhappy with your child’s school for any reason, it is possible to transfer the scholarship to another participating school. After you have completed your full application, CSF will confirm with the participating school the tuition amount and that your child is registered at the school. Please allow 3-4 weeks for application processing. CSF will notify you by email or mail with confirmation of your child’s scholarship award. Since scholarship amounts are calculated based on your family income, household size, and tuition, we need confirmation from your child’s school that your child is registered and the tuition amount charged before we can calculate your scholarship. Families receive varying scholarship awards based on the family’s income, household size, the school’s tuition cost, and other non-CSF financial aid. The maximum scholarship award for 2017-2018 will be $3,200. Please note: All CSF families are required to pay some portion of tuition. Families are required to contribute a portion of their tuition. This year, the average CSF family in New York pays just over $2,000 towards tuition. CSF scholarships are used to pay for tuition at a private or parochial school. Scholarships cannot be used to pay for registration fees, school uniforms, afterschool programs, or other non-tuition costs. Families do not receive checks from CSF. The schools receive payments twice a year (in the Fall and Spring) directly from CSF. Prior to each payment, schools must verify that students have a 90% attendance rate and that each family is up to date on tuition payments. Our goal is to extend all scholarships through 8th grade, depending on the availability of funding and your family’s continuing eligibility. Scholarships do not automatically roll over to the next school year. Families must requalify each year by submitting their most recent financial documents. CSF contacts families by email about how to requalify in late winter or early spring every year. Contact the Children’s Scholarship Fund at (212) 515-7137 to let us know you want to switch schools. If a transfer is possible, the old school will complete an Exit Confirmation Form. This will tell us the last date the student attended the old school and show that you have no outstanding debts at the old school. The new school will complete a School Commitment form confirming the student is registered at the new school. Once this process has been completed, Children’s Scholarship Fund will send you a letter confirming your transfer and indicating your adjusted scholarship amount. I am moving out of New York City. Can I keep my scholarship? It may be possible to get a scholarship in another city. 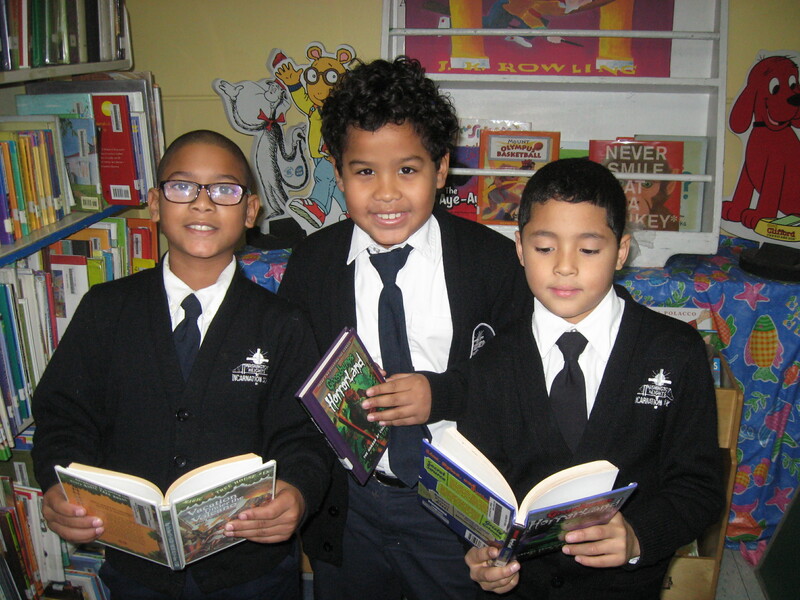 Please contact the Children’s Scholarship Fund at (212) 515-7137 to see if we have a partner program in your new city. Twice a year, CSF makes scholarship payments to the schools. Before we can make the payment, schools have to verify that your child has a 90% or better attendance rate and that you are current on your portion of tuition payments. If you are not current with your payments to your child’s school, you risk the chance of termination from the program and being responsible for the full tuition. If your child is currently using a CSF scholarship and you want to take the child out of school temporarily, it is possible to put the scholarship on hold for 6 months. After 6 months, if the child does not return to a participating school, the scholarship will be lost. Please contact the Children’s Scholarship Fund immediately at (212) 515-7137 if you would like to put your scholarship on hold. Provided there is sufficient funding, scholarships will be renewable every year through 8th grade, assuming financial need continues and you are current on the balance of tuition and meet other renewal requirements. We contact families by email about how to requalify in late winter or early spring. Please call our office if your contact information has changed or if you have not heard from us about requalification by the end of March. CSF does not award high school scholarships and does not fund recipients after they graduate from 8th grade. We recommend you inquire about scholarships and financial aid at your preferred high schools as early as possible in your child’s 8th grade year and attend as many Open Houses as possible. Yes, the scholarship is not tied to academic performance. You can still use the scholarship to repeat a grade. However, your child must maintain a 90% attendance record at school, and you must be up to date on your payments to the school. If your children were claimed by someone else on their tax form, we will need to see that person’s tax forms also. If your children were not listed on anyone else’s tax form, but are listed on your budget letter, then we will need a copy of your public assistance and food stamp benefit letter. If you did not file taxes, then you will need to send us documentation of all income and you will have to submit a signed and notarized letter declaring your income. If you receive public assistance, you must include a budget letter, supervisor’s summary, or a copy of form W-700U. If you receive court-ordered child support, you must include official court-ordered documentation. If you receive child support that was not court-ordered, you must include a signed statement from the person who provided the support. This statement must be notarized. If you receive any Social Security payments, you must include the SSA-1099 form; or, if you are on disability, the SSI form. All debts to your child’s school must be cleared. Scholarships are partial, not full. Keep copies of all paperwork you submit to CSF. Sign the bottom of the second page of your 1040 tax form. Report any email, telephone, or address changes. If sending financial paperwork through the mail, mail may be sent “Return Receipt Requested” or via certified mail so that a postcard will be mailed to your home. This card will notify you when your mail arrives at our office. Have questions ready when calling the office. Please note that your child’s scholarship percentage may change year to year, depending on the previous year’s income and changes in tuition amounts. For requalifying families: You are responsible for making sure that information and paperwork required during requalification are entered/sent and received by the deadline.